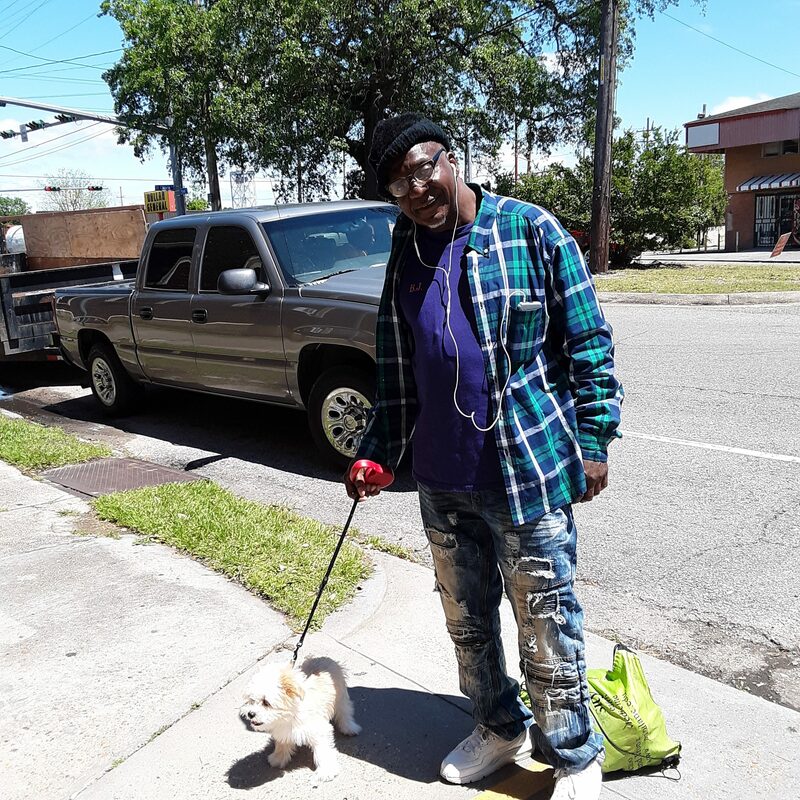 Sunday, April 14th, the Louisiana SPCA and the Southeast Louisiana Veterinary Association hosted its annual Palm Sunday Rabies Vaccination Drive. 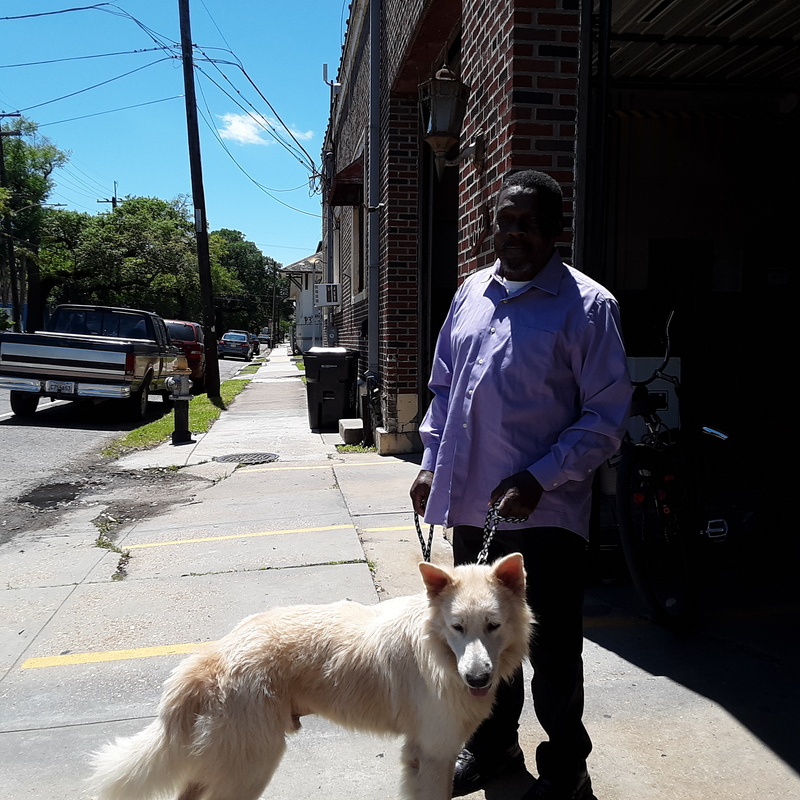 Going strong for over a decade, the drive offers low-cost rabies vaccines (as well as a tag and license) to Orleans parish pets. The drive took place at nine fire stations across the city. At the Bywater’s Engine 24, the firetruck was parked in the middle of Poland Avenue so that the event could use the station’s full floor. Locals had in tow large, braying Pitbulls and tiny yapping Yorkies. One woman held a pet carrier firmly under her arm; the cat within yowled loud enough to compete with dogs more than triple its size. Volunteers accepted payment and handle licenses, while veterinarian volunteers administered the vaccines themselves. The rabies vaccine is required by New Orleans City ordinance for all dogs and cats. Depending on the type of vaccine, vaccination can confer immunity for one or three years—all the animals vaccinated at Sunday’s drive received the one-year type of inoculation. Rabies is an extremely deadly disease that causes a painful death in cases of infection. The vaccination, first developed in 1885 by Louis Pasteur and Pierre Paul Émile Roux, prevents infection and can also be given to someone who has already been exposed to prevent the disease, which is spread by a bite from an infected animal. The original vaccine developed in the 1880s used weakened strains of the virus taken directly from a diseased animal. The vaccine’s modern cousin uses cell cultures. Jennifer Buuck, a volunteer at the Poland Avenue Station, has been volunteering for the LSPCA since she was 12 years old. 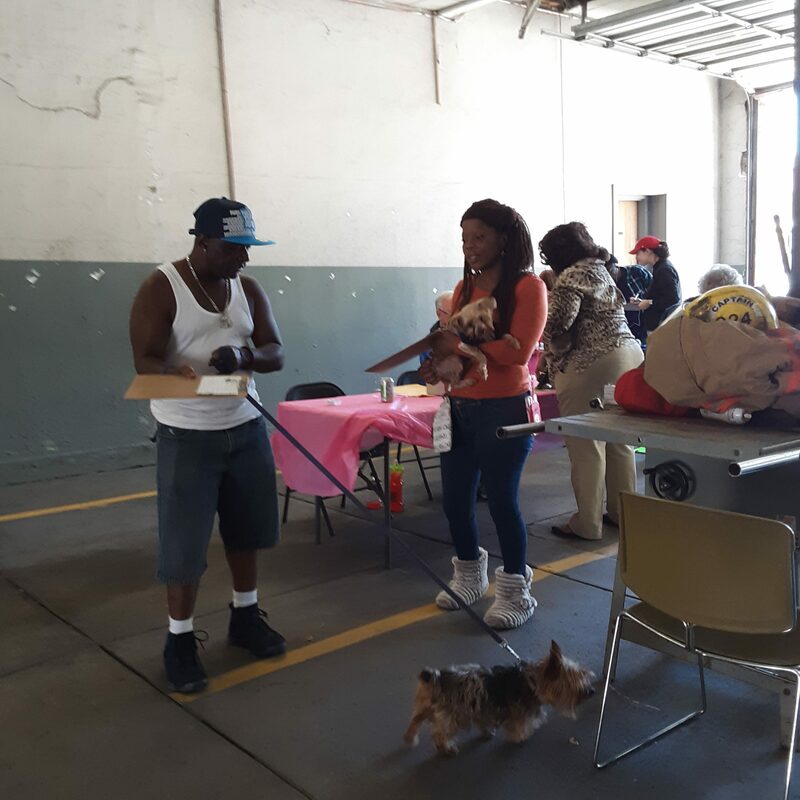 She estimated that the Poland Avenue station provided vaccines to around 150 pets last year. WSDU reported that in 2018, the drive provided vaccines to 1668 cats and dogs. The Jefferson SPCA hosted its own Palm Sunday vaccination drive, with the Jefferson Parish Animal Shelter. “So many animals don’t see a vet on a regular basis, and this is a great way to make sure our animals are taken care of and vaccinated,” says Buuck. Aside from what Buuck calls the “obvious”, the drive is also an important point for information dissemination about heartworm and other points of animal care. Nearly all mammals are capable of developing rabies, though opossums, with low body temperature, are a notable exception. rabies has been virtually eliminated in humans and domesticated animals in the USA and other nations where people have access to routine vaccinations, due to successful widespread inoculation for pets. Along with the more commonly lauded examples of polio and smallpox vaccines, the history of rabies and its vaccine shows how vaccination efforts can all but eliminate certain diseases. Though the spread of rabies was once most common from dogs to humans, dogs are no longer considered a rabies “reservoir” in the US. According to the CDC, there were only twenty-three cases of human rabies from 2008-2017—and eight were contracted outside of the country. After snapping some photos, I walked home, packed my cat into a carrier and brought him to the fire station for his shot. He was none too pleased.